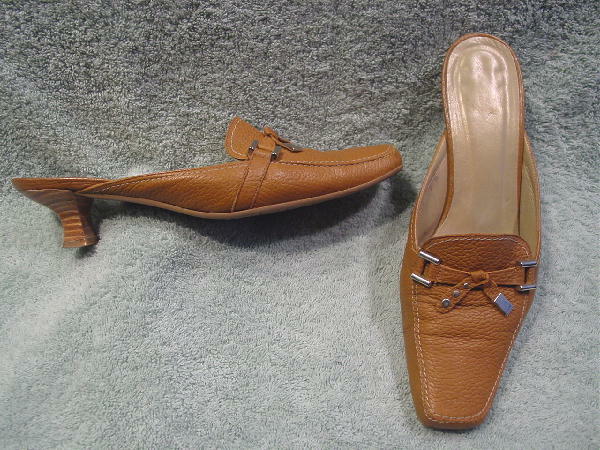 These camel-tan leather mules are by Stuart Weitzman and were made in Spain. They have elongated angled toes with a strap across the vamp which ties in the center and has silver-tone metal accents on each tie. The strap is attached on each side by silver-tone metal bars. 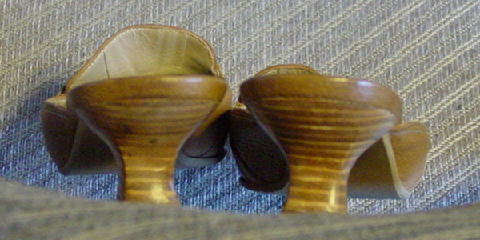 They have wood faux stacked heels and rubber nonskid soles. 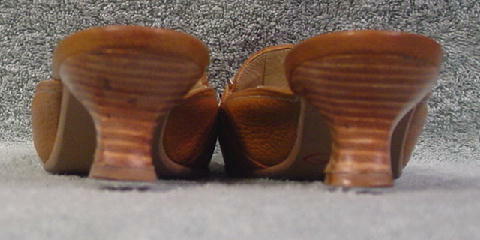 The back of the leather above the left heel has a little darkening and the wood heel has a small round indentation and some dark spots. She wore them while working.